There's an unusual amount of buzz swiring around the internet centered around the idea that Nintendo should make a smartphone. The individual pieces of this concept make sense: Nintendo makes great games, and lots of people play games on their phones. Nintendo is also the leader of the handheld gaming market, especially and particularly with consideration to their touch- and motion-based Switch console, so the company could be poised to make a hit on the mobile hardware market as well. If all the pieces seem to be in place, and players seem interested in the concept, what exactly is the problem? Fortunately, history provides all the context we need to understand (and hopefully mitigate) this issue once and for all. Gaming-Focused Mobile Devices Have Been Terrible. The first reference here will be obvious: Nokia's N-Gage, released in October of 2003, was a phone targeted explicity toward gamers. It had a litany of face buttons, a screen with a very unusual 11:13 aspect ratio, and very bad games. It was, for all practical purposes, a complete pile. 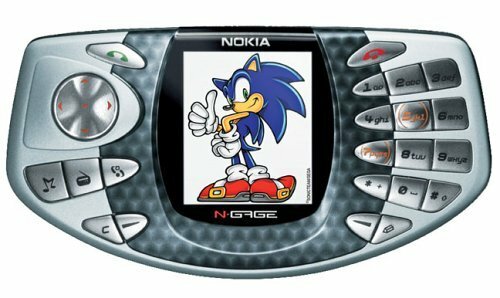 The N-Gage managed to sell just 5,000 units in its first two weeks, and would go on to be remembered as little more than a sad joke; a reference point for how ill-advised Nokia's concept was. Although it wasn't a phone, Tiger Electronics released their pioneering Game.com system in 1997 as a sort combination handheld console and PDA. Back in a time before the massive popularity of cell phones, the Game.com was meant to target older audiences who would appreciate coupling their appointments and contacts together on an internet-capable device that could also play games. Sounds kind of like a modern cell phone, right? No surprises, the Game.com was a failure, selling less than 300,000 units in the less-than-three year period it was on the market. Both of these systems released in a time when Nintendo was dominating the handheld market. The Game.com was meant to directly compete with the Game Boy, and Tiger Electronics went so far as to release an updated version called the Game.com Pocket in variety of colors, same as Nintendo had been doing with the Game Boy Pocket. The N-Gage similarly went after the Game Boy Advance, to which it provided no competition whatsoever. This has been a long-held statement of intent from the Big N: they don't compete. For Nintendo, the business isn't about one-upping the competition, it's about providing users with fun and compelling experiences. They've long been king of the handheld market, and with the release of the Switch, that trend is likely to continue. However, if Nintendo were to jump into the mobile market, they'd be releasing hardware in one of the most dense and cutthroat marketplaces in the field of technology. Companies like Apple and Samsung have been doing this for years, and they've earned their market share through both solid products and hard lessons learned. If Nintendo were to jump into their arena, they would likely find that their brand doesn't exactly translate to consumer trust with mobile devices. Besides, Nintendo is a gaming company. 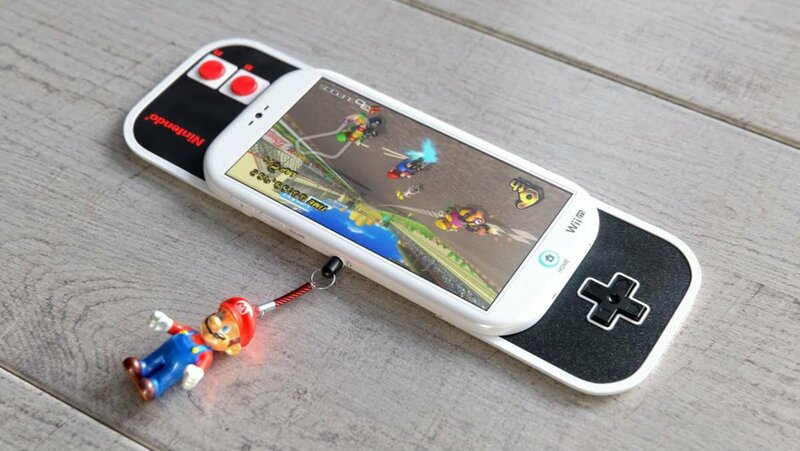 There's little doubt that a Nintendo phone would focus games, but regardless of what anyone says, most people don't buy phones specifically to play games. They use them to browse the web, place text messages, and tastefully garnish selfies to place on social media. Games, for better or worse, are largely an afterthought in mobile phone design. The fact that mobile phones happen to be excellent platforms for video games is just a happy coincidence. The Switch Already Features Mobile-Focused Technology. Though it's hard to fully understand where the Switch fits in a mobile market, Nintendo's foray into the scene still continues. The release of Pokemon Go paved the way for titles like Super Mario Run and Fire Emblem Heroes, proving that Nintendo can make great experiences for any device, including phones. They've also taken some of their mobile-based knowhow and shoved it into the Switch, which by-and-large operates just the same as the tablets that people have been using for years. The Switch is a particularly good example of why Nintendo shouldn't make a phone: not only is it the successor to the Wii U, which aimed to uncouple players from their living rooms, it's also designed in such a way that mobile games could be easily ported to it. It costs less than a phone — much less, in some cases — and is capable of hosting many of the same games that players enjoy on their mobile devices. As far as platforms go, then, the Switch is perfectly-suited for mobile games. However, there's one thing that the Switch doesn't do well: communication. Nintendo has struggled with connecting players together in a meaningful way for quite some time, be it with complicated Friend Codes, or an inoperable web browser, or even confusing or obfuscated in-game communication. Simply put, Nintendo is better at making games than they are at connecting people, which sounds like a pretty compelling reason to leave mobile phone development to other brands. It might not run Snapchat or Instagram, but the Nintendo 3DS can take a wicked selfie. It can also play games like those featured on our list of the Best Nintendo 3DS Games.